Due the start of December the new Lürzers 200 Best Ad Photographers Issue has been published. We are very delighted being shown at the landscape category and it really is a pleasure for us to be listed inbetween those great works from all over the world. Good start going international - and a great end for the year 2017. Thanks for having us we really appreciate it. We are glad to announce that our series „Islands“ was shortlisted at the this year’s Communication Arts Photography Competition. It is the second time this body of work made it to the finalists of an international highly regarded collective. Even we did not make it to the winners both of us are very delighted about being part of the competition and are really looking forward the next one. At this point we also would like to congratulate the winners who will be published around June 2017. We are very delighted about being a fivefold nominated at the Intenational Color Awards 2016. The 10th year's competition recieved 6178 entries from 75 countries and the winners announcement took place on Saturday March 4th, 2017. We are very glad that our work "Islands I, 2014" received a honorable mention & is one of the winning images at the professional nature category. 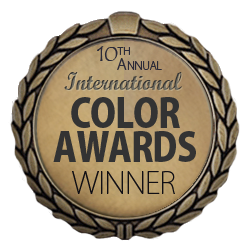 The International Color Awards is the leading global award honoring excellence in color photography and there have been many inspiring works from photographers all over the world. It is so amazing being listed in between the winners - thanks for having us. Today we received a new master copy of "Islands I, 2014" - it is the first time we tried out a new size which really impressed us. There will be some more steps to fine tune it but we are really looking forward to get this series also started in 180cm x 120cm in an edition of maximum 3 works per image. If you are interested more information can be found in our art-category. Here are some little insights of the unpacking. If there are any open questions please feel free to contact us.